This Lovely Links Silicone Onlay Ribbon is the perfect tool to create raised, 3D ribbon designs for cake decorating or any arts & crafts project. 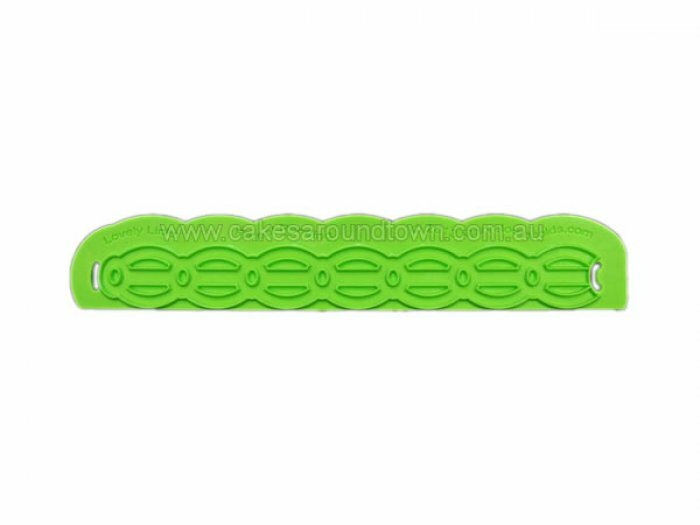 If you like working with stencils you will love this Lovely Links Onlay Ribbon which is made from a flexible, food grade silicone instead of rigid laser-cut plastic. Check out the video below and learn how these exceptional 3D stencils transfer intricate designs to almost every surface, perfect every time.